"If I could reach up and hold a star for every time you've made me smile, the entire evening sky would be in the palm of my hand." "When you are in love, you can't fall asleep because reality is finally better than your dreams." Spring has sprung and that means it's tulips season, baby! 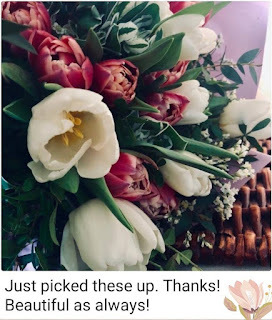 We receive a fresh shipment of Dutch grown tulips mid-week, so the best days to order and have these luscious blooms delivered to your special recipient is Thursday or Friday. The little things that make our day! Thanks for the note, MG 💕. 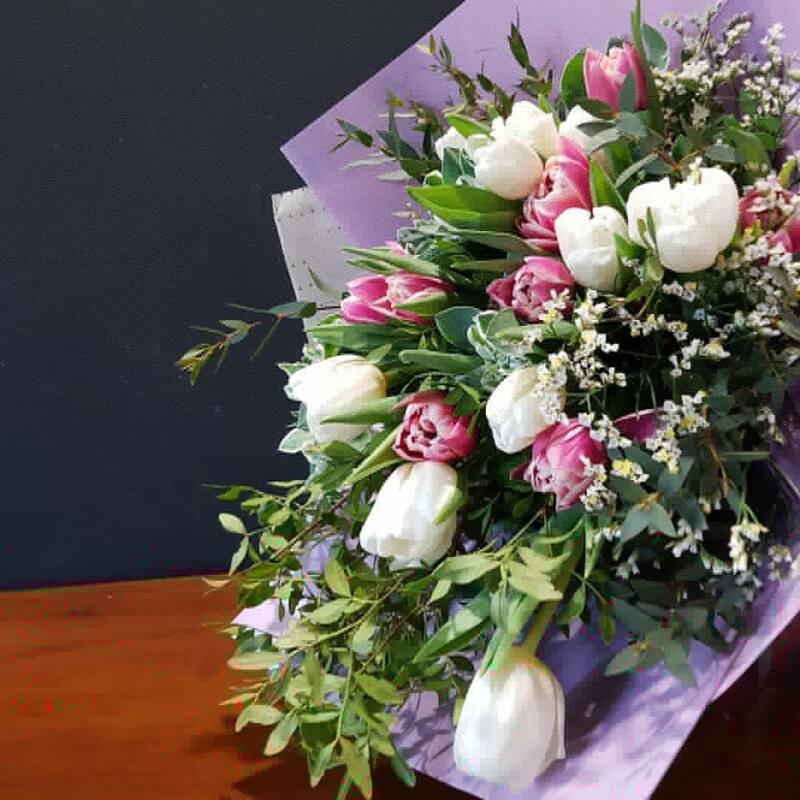 An over the arm bouquet of 20 tulips with flowing eucalyptus parviflora and pistachia lentiscus. An organisation bids adieu to a much liked boss with this bespoke Dutch cymbidium and tulips floral handbag in her favourite colour scheme. Floral handbags start at RM160. The design as featured is RM220.
. Give us a call at +6014 368 1044. We made yet another Best Flowers List! To us it's all about the flowers - the true star of the show - not the packaging and definitely not the copious amount of unnecessary layers of wrapping! So it was nice to be recognised in an industry list by Flower Delivery Reviews. "Nook Flowers is a boutique floral and event design firm based in Kuala Lumpur. They offer bespoke and luxurious floral designs using tasteful colour palettes and incorporating Nook’s signature whimsical style with a touch of bohemian flair, shabby chic or vintage elegance is added. This makes each bouquet or arrangement unique. 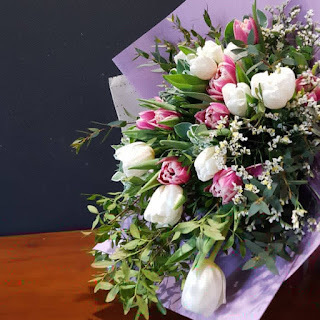 Nook Flowers uses locally sourced, seasonal flowers, natural packaging and recycled materials as much as possible in line with their commitment to the environment and conducting business in harmony with nature." 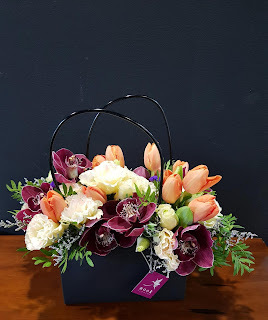 Proudly made in Malaysia, Nook Flowers celebrates the art of bespoke and luxurious floristry. We are a small business that strives to design arrangements that are personal to your sentiments. Our talented, passionate and knowledgeable Floristas create floral art with local flowers as our first choice, but we love working with any and all flowers. Everything is hand crafted to order. We care deeply about the environment and are committed to conducting our business in harmony with nature. To us the emphasis is flora - full of colour, texture and vibrant in themselves; the packaging is secondary and should never detract from the flowers. This is why most of our bouquets are wrapped in the most minimalist of ways, or why we choose foam-free arrangements wherever possible. We encourage customers to bring in their upcycled containers and we opt for natural packaging. Not the easiest of routes but we try hard to walk the talk on this. 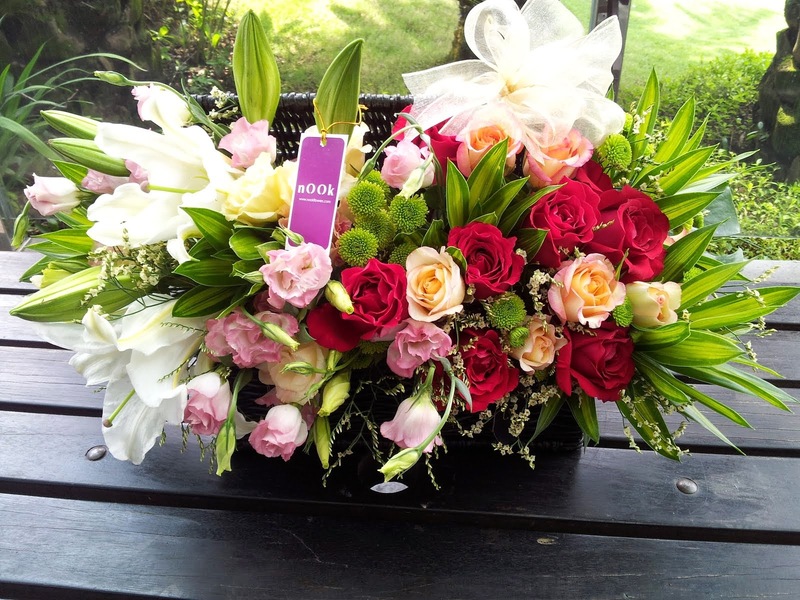 Cited by Her World Malaysia as one of the Top 10 floral services providers in Kuala Lumpur. We believe in magic - the blooms and botanicals kind.